So 2015 is the year where I finally realised that I do like reading crime/mysteries afterall (although my youthful penchant for Trixie Belden should have clued me into that). I don’t like true crime or scary, gritty, thriller or true crime books, I like entertaining mysteries and crime – crime with fluff and even better if it’s fantastical and speculative. The Spindle City Mysteries are a most excellent example of what I’m coming to recognise as my taste in crime/mysteries. These stories are set in a universe of classic fairytales and have a noir feel to them, with a side of comedy to round them out. 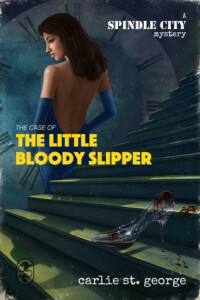 The Case of the Bloody Little Slipper caught my eye when I wanted to read and support more short fiction publishing and in particular wanted to support Book Smugglers Publishing. Fairytales in a noir crime setting sounded interesting and so I gave it a try. The cover itself drew my interest looking very reminiscent of Cinderella, but also hinting toward the noir style of the story. From the first I was transported into the universe of Spindle City, because the language was so markedly difference. This took a little getting used to, and some guessing at times but it was worth it and I felt immersed in the life of Jimmy Prince trying to solve the mystery of Ella. I love the idea of ‘Prince Charming’ actually being dysfunctional, not too pretty and although that idealistic moral standard is definitely present in Jimmy, it’s definitely sarcastic and a little tarnished. Jimmy was a great protagonist to explore Spindle City along with his sidekick Jack whose story I’m really intrigued by! Ella as the disenfranchised, disinherited orphan is beautifully retold, retaining the mystery of the original fairytale while also giving her greater depth without the singular romantic focus. This story was refreshing and I just let myself enjoy the mystery unfolding – I’m less about guessing where mysteries and crime solving stories are going, and more about enjoying the ride. 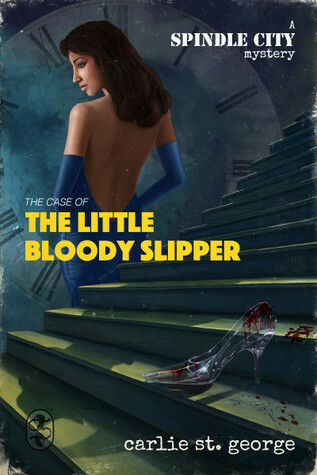 St George has created a solid foundation in The Case of the Bloody Little Slipper with the Spindle City universe and I enjoyed every moment and couldn’t wait to read more! While we first met Sarah ‘Snow’ White in The Case of the Bloody Little Slipper, she wasn’t much part of that story and I hoped that St George would revisit her story later on. Wish granted! (Just like a fairytale really, complete with bitter edge). A story focused on the Snow White of Spindle City, but unfortunately she’s dead – and why? The impression we’d received in the first book was that she was something of a shallow actress, out to make a living and thumb her nose at her stepmother (lovely nod to the fairytale there). 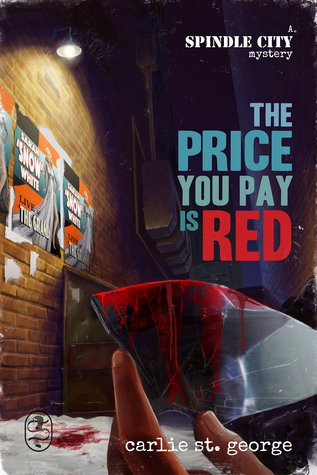 Here in The Price You Pay is Red we discover there’s more to Sarah than we thought, and yet this is bittersweet because Sarah is already dead. We learn more about the ‘Pins and Needles’ disease that has ravaged Spindle City and that Sarah was likely killed because of something she had to do with a potential vaccine to the fatal wasting disease. This is near and dear to Jimmy’s past based on his own historical relationships. 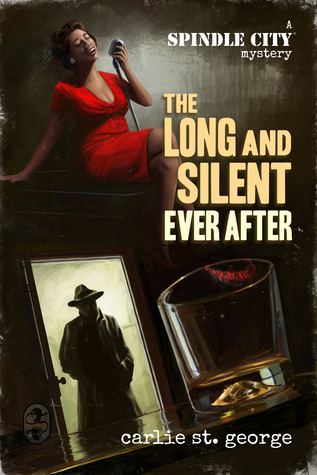 Overall this book was much less fairytale retold and much more noir crime mystery, but that’s not a criticism, it brings that genre to life for me in a way that I may otherwise have never appreciated. Lovely continuation of the Spindle City mysteries. How awesome are the titles for these mysteries? So freaking awesome. The titles alone make me want to read these books – that happens less and less I find, so I’m especially charmed. While this is the last of the Spindle City mysteries currently planned, I sincerely hope that this changes and that there are more to come because these stories are so wonderful and entertaining to read! 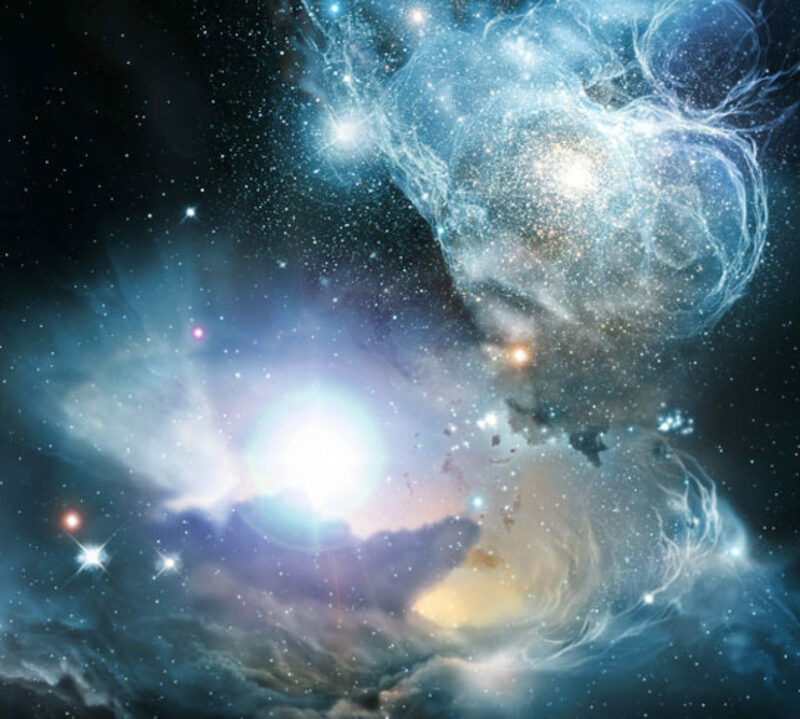 I want to enjoy this unique universe and its characters for several books to come – this is truly a great candidate for an expanded universe. I love that queerness, partnership and friendship feature strongly in this book – more so than romance or rather the romance is subtle, it’s not the main focus but it’s sweetly there to enjoy. I love that this book features more of Rose Red and also the Godmother – who in this universe is not the benevolent creature we’re used to. This story has more intrigue, more adventure and we also see Jimmy deal with his own pride, illness and mortality. If there had to be a book where things ended (or more hopefully paused) then this is a great book to do that. The story satisfies and you get to feel like you’ve gotten a really good taste of what this universe and its stories are all about. I love the way in which Carlie St George has so beautifully created this noir fairytale sub-genre, the quasi-gritty stylised noir aspect maps surprisingly well to traditional fairytales and they come to life in a whole new way. 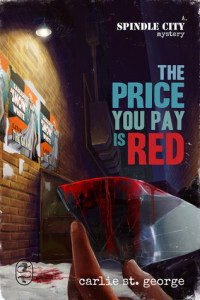 (Am I the only one who thinks this would also make a great television adaption?) Congratulations to St George and Book Smugglers Publishing on a truly awesome series of books, I enjoyed them so very much and am recommending them far and wide.